Purina “Cuddle Me” Kitten Dome: Step inside and let the kitten cuddles begin. “Cuddle Me” Puppy Lounge: Nothing is sweeter than puppy kisses. Come get some. “Cuddle Me” Cat Lounge: Coffee, Tea, or Me? 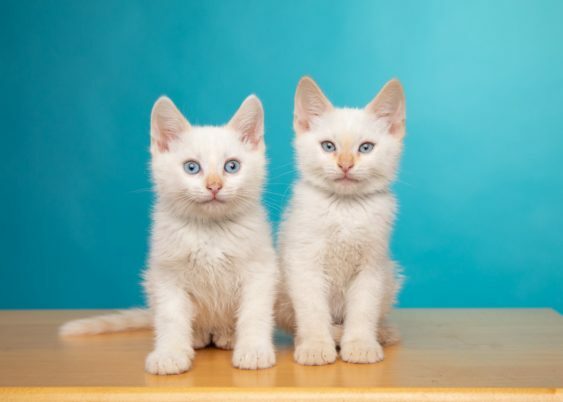 Have a sip with adorable, adoptable kitties while checking out their Cat Video Fest, featuring the best cat videos of the year plus some classics. This lounge is hosted by SF SPCA Community Medicine. Come learn about community outreach during a special info session, 12:30 pm – 2 pm. Afterward, meet Duke, the amazing Animal Assisted Therapy cat, and learn about AAT’s work in the community. 2 pm – 3 pm. Doggie Drag Show hosted by Heklina: Enter your posh pooch for amazing prizes. This fierce on-stage competition begins at 11:50 am, after a special 11:30 am performance by Heklina. Tattoo parlor: SF’s most talented tattoo artists are here to make their mark on you. Veg food trucks Nambe, Sleight of Hand Pizza, and more. Yum. Yoga with Cats and Kids: Animal-themed yoga for kids 6+ years and parents to do together. $35 tickets include 1 child + 1 guardian. Choose from 10 am (tickets: http://bit.ly/Yoga10am) and 10:45 am (tickets: http://bit.ly/Yoga1045). Big Quiz Trivia contest: Test your animal knowledge and impress your friends. “No Prong” Screen Printing: Come make your own doggie and people t-shirts with the SF SPCA Behavior & Training team. Please note that some activities require fees.